Data is the most important aspect of your Mac or iPhone. Your Mac hardware or iPhone can fail, data can be corrupted, or it can be lost, stolen or destroyed. You may be able to reinstall applications, but your original data could be lost. Hence it’s important to back up your data in order to prevent data loss. To back up your Data iTunes would be the first choice for you to transfer data files between iPhone and Mac, but here I am introducing to your an iTunes alternative for syncing and backup (MacX Media Trans) which is having better aspects than iTunes. 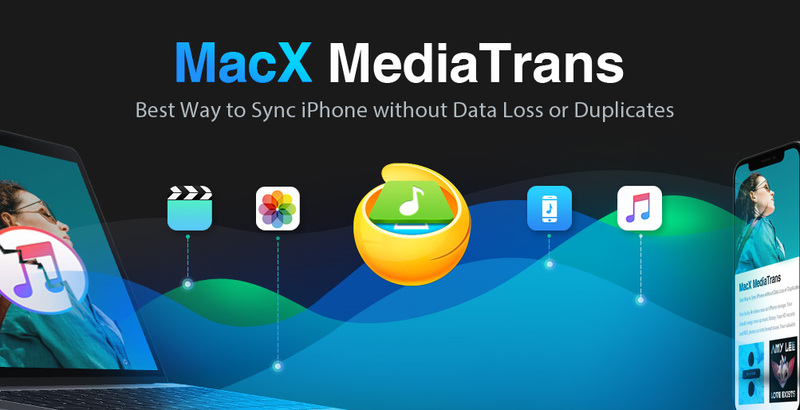 MacX Media Trans is the best iTunes alternative for Mac that can help you to back up and sync photos, videos, music, ringtones, ebooks, podcast, etc between iPhone, iPad, iPod and Mac to secure and free up Space on your iPhone. You can check the step by step guide to sync iPhone to macOS. You can also use an iPhone as a USB drive for file backup from Word, Excel or PDF, apps etc. It provides an easy and hassle-free way to create/delete/edit playlists and to manage music tracks, albums, and genres in batch. The embedded video conversion mode can handle auto-video-conversion to fit an iPhone or iPad while preserving high quality. You won’t regret downloading MacX Media Trans to back up and Sync iPhone Files to Mac in a convenient way without using iTunes. Backup iPhone data by using an iPhone as a USB drive, such as Word, Excel, PDF, app, DMG, etc. The comparisons below show the pros of MacX MediaTrans over iTunes in syncing and managing iPhone files. Now make your own decision. Will you still use iTunes or turn it to MacX Media Trans which is having many new features which make your workflow easy and fast.